This 16 week course is designed for individuals who plan to pursue a career in the carpentry field .We train carpenters in the art of residential / commercial building construction. Our carpentry course features a unique blend of hands on and theory to ensure that students get the knowledge necessary to pursue a successful career in carpentry. Like all our courses, the carpentry class is taught by an experienced professional who has years of experience in the trade. We believe that the key to a great learning experience is having the right teacher and the right curriculum .In this 16 week course students will learn the skills of carpentry. •	Ceiling and Acoustical Tile. These are just some of the many projects and aspects of this course. Students will also gain field experience working on houses for Habitat for Humanity (whenever possible) and helping the local community. 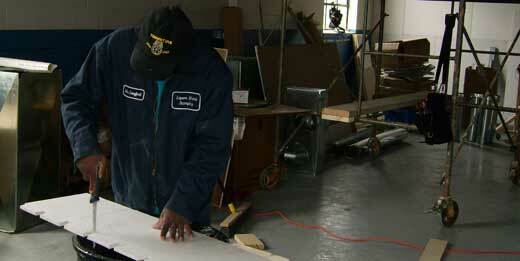 In the four months students will transform from layman to skilled carpenter.